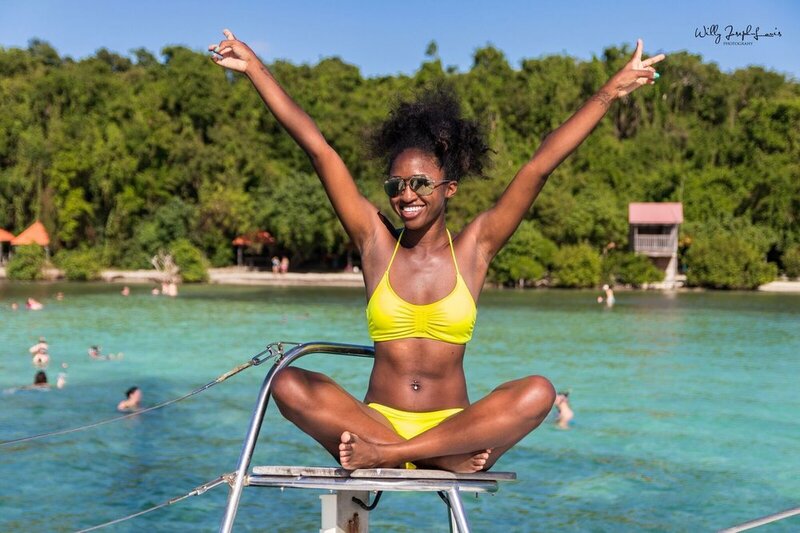 Francesca Murray is a Californian turned travel journalist who has spent an extensive amount of time on the Caribbean island of Martinique. In this guide to the country, she offers us her insider knowledge about this charming location. My name is Francesca Murray and I’m a California native who left my job in marketing to pursue the dream of launching my own travel guide series. I started my travel blog, One Girl One World in 2014. I’ve become an expert on Caribbean travel, and authored the world’s first digital Guide to Martinique from a local perspective in 2016. I’m passionate about sharing authentic travel experiences, learning new languages, and exploring different cultures! My goal is to show that Caribbean travel is more than yachts and all-inclusive resorts. There’s something for every type of traveler and demographic! 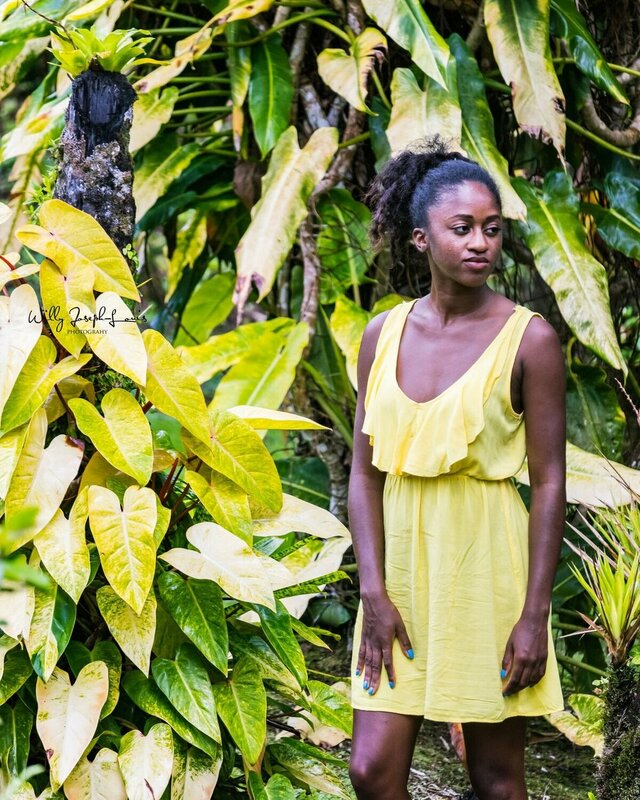 What brought you to the Caribbean, and what is life like as an expat in Martinique? 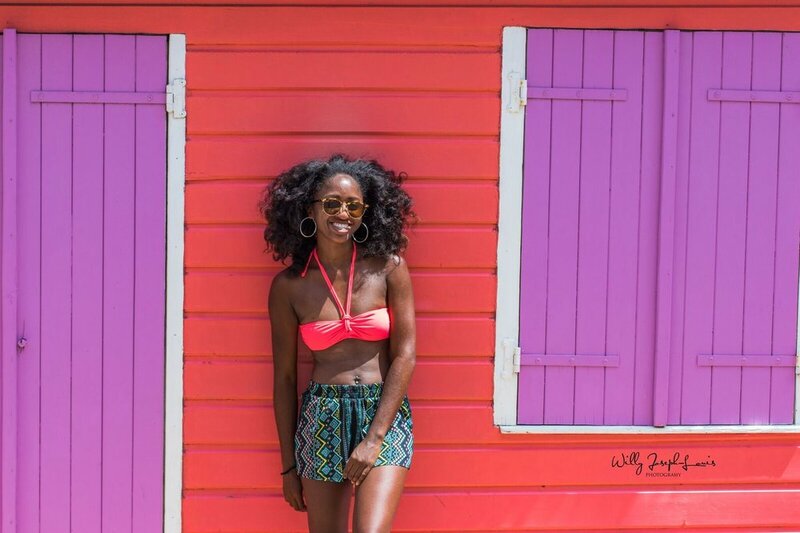 I moved to Martinique to teach English because I had recently quit my job and wanted to start traveling again. I already spent a year teaching in France after I graduated university, so I decided to apply to work in one of the French Caribbean departments. At the time I was more interested in French culture, and I expected Martinique to be like Paris in the Caribbean. I couldn’t have been further off! 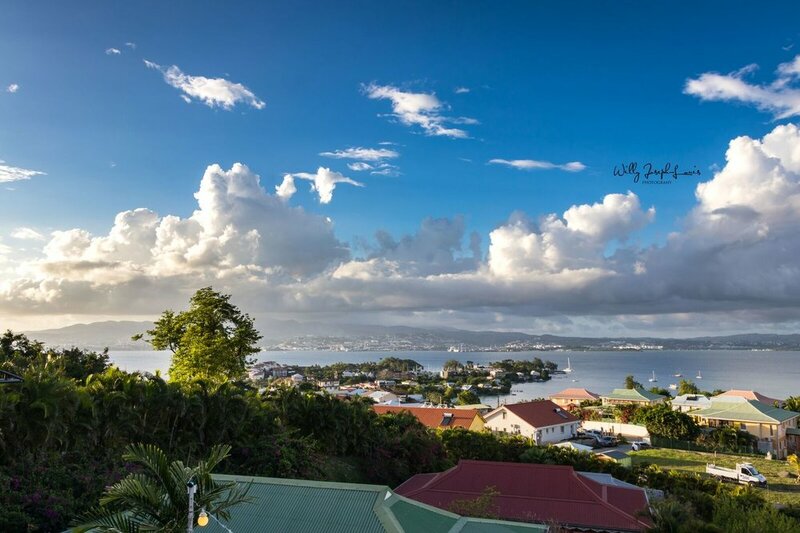 While the French influence is very strong, Creole culture is what truly reigns. 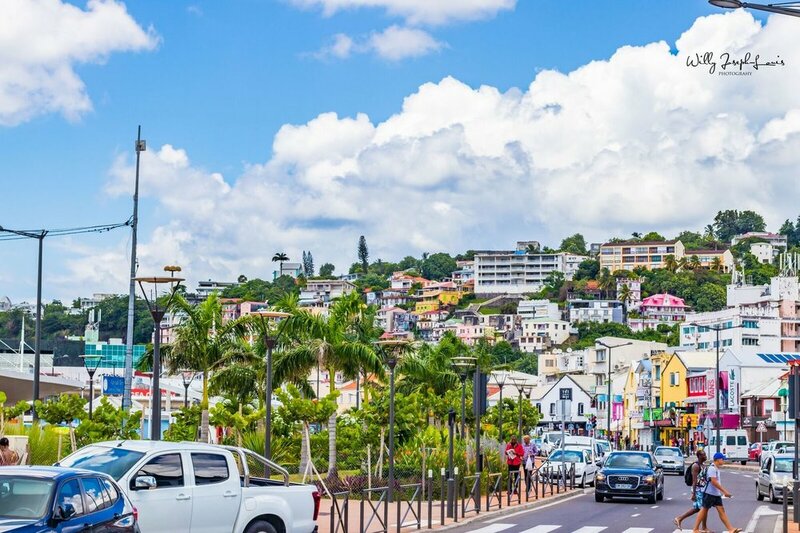 Living in Martinique is a constant contrast between modern life (almost everyone has a smartphone, and the traffic can be as bad as Los Angeles at times) and traditions like growing your own fruits and vegetables to raising your own chickens and sheep. Please lend us some general information about the languages spoken, geography, and brief history of Martinique. Martinique is in the eastern Caribbean, about two hours south of Puerto Rico by plane. It’s a part of the Lesser Antilles. The main languages are French and Creole. Many people arrive expecting to find English speakers everywhere, but English is not an official language. Columbus was the first European to visit Martinique in 1502, but the Spanish didn’t colonize the land. Instead, Martinique was colonized by the French and in 1685 King Louis XIV mandated "Le Code Noir" which created a legal framework for the regulation of Africans who had been taken from their homeland to work as slaves on the French sugar plantations. One thing I appreciate about Martinican people is that they continue to honor their ancestors. May 22nd is a national holiday commemorating the abolition of slavery in Martinique and you can find celebrations commemorating this historic event all across the island. I list plenty of activities and things to see in Your Ultimate Guide to Martinique, and one of my “must-see” attractions is Mount Pele, the island’s active volcano. 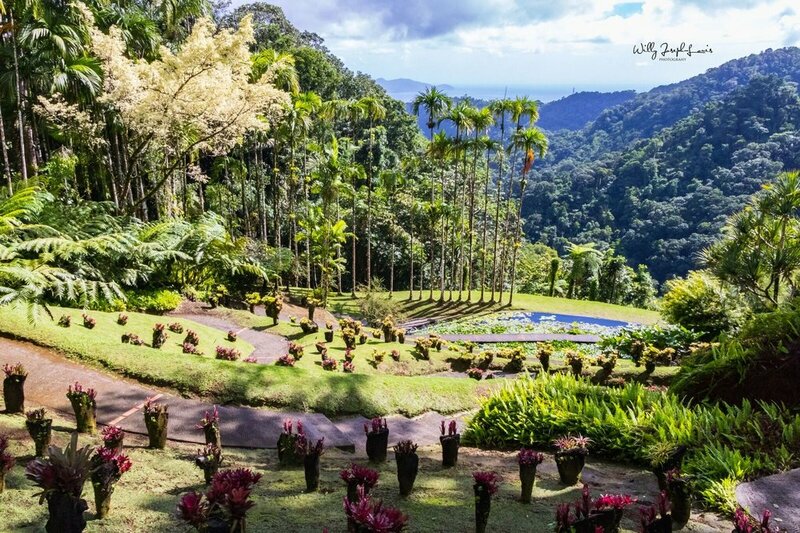 It’s in the historical town of St Pierre and surrounded by rugged black sand beaches. 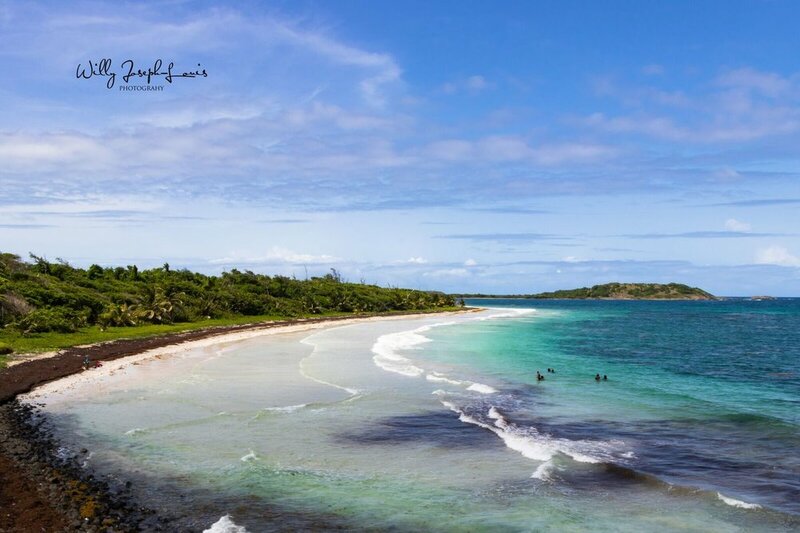 The beaches are fabulous of course, with one of my favorites being Anse Mitan because of it’s translucent blue waters. As far as dining goes, I suggest visitors mix things up and take the opportunity to try traditional French cuisine, especially if you’ve never been to France. You also have to try one of the local Creole staples, Accras de Morue, which are fried codfish fritters seasoned to perfection. Wash it down with a cocktail made from one of the island’s world famous rums. There are over 12 local brands to choose from! What is something you can share that people seldom know about Martinique? One thing that catches visitors off guard is just how French Martinique actually is, from the language down to the currency. A lot of people travel to the Caribbean with the idea that they’re saving the locals with their tourism dollars, but the dollar isn’t even accepted in most places. It’s not to say that tourists aren’t welcome, but the local economy is not dependent on them so the level of service is different. Tipping also isn’t a part of the culture. I find it refreshing! 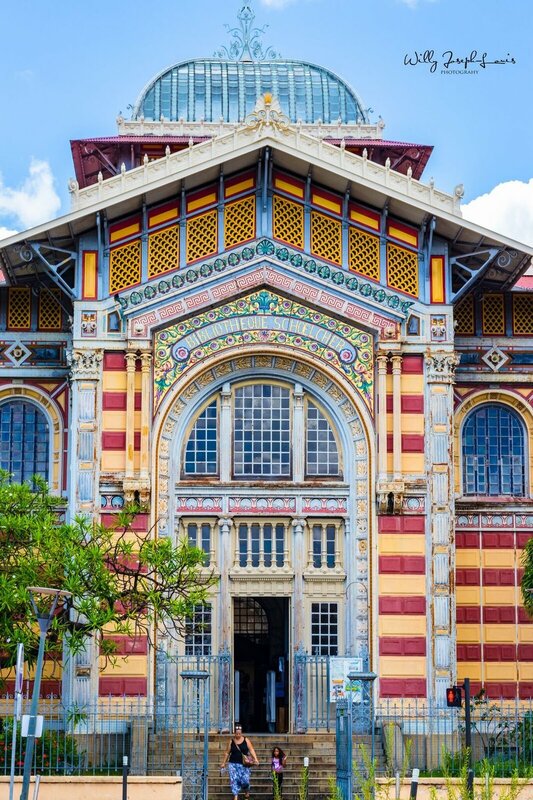 Please share the story behind your favorite image that you’ve captured in Martinique. I did an interview for One Girl One World with a local headwrap artist named Emmanuelle Soundjata. She taught me so much about the culture behind the Mare Tet (what they call the traditional headwrap in Martinique) and the history of how it went from a legally enforced practice to a way of expressing one’s Afro-Caribbean roots. I was honored when she offered to do a demonstration on me. This photoshoot was done by Willy Joseph-Louis, a local Martinican photographer, and styled by Emmanuelle. I love this image because the experience evoked a fierceness in me that I didn’t know I had! Which cities/regions have you visited on the island, and which can you recommend? I’ve been to every city on the island. 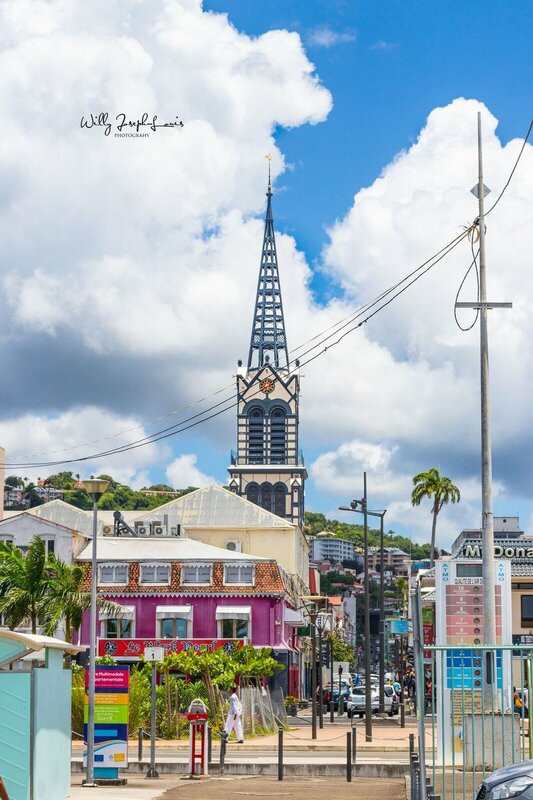 Going to the most touristy area is something I don’t usually recommend to travelers, but because Martinique has retained so much of it’s authenticity as far as language and culture, it can be a culture shock. Therefore I recommend Trois Ilets to first time visitors, because many of the businesses cater to tourists. Since it’s frequented by visitors, restaurants and bars make sure they employ English speakers and have translated menus available. It’s also where you’ll find some of the best beaches! What are some struggles you’ve encountered during your time in Martinique, and how do you overcome them? I struggled with loneliness due to culture shock. I get mistaken for a Martinican often, and at the beginning it was awkward because I hadn’t mastered the language. People would attempt to speak to me then realize I couldn’t respond in Creole or I had to make them repeat themselves several times in French. It made it hard to make friends. That feeling of discomfort at the beginning turned out to be a blessing in disguise, because it forced me to work harder at learning the language and made me even more eager to seek out opportunities to get to know the island, which in turn gave me plenty of material for my Guide to Martinique. It also made me think about what I wished I’d known when I first arrived, and use that as a way to help people who are visiting. Now that I’ve gotten a grip on the language and culture, getting mistaken for a local is something I love because it’s fun blending in. Funny how things come full circle! What do you love about the culture in Martinique? I love the strong sense of pride Martinicans have in their African roots. For example, Martinique refuses to let you forget slavery happened. It’s not something you should “just get over” - instead, it’s a national holiday. At the same time, it’s not a “stuck in the past” mentality either. It’s seen as something we survived as a people and will never let happen again. I also love how people proudly wear their natural hair, and you can see all skin tones, from light to dark on billboards and in local magazines. There is a term people use called “Negritude,” which translates to blackness, and it’s something you use proudly. It’s a mentality that has had a big impact on my personal growth as a woman of color. I am publishing a second edition of my guide to Martinique, and returning to the island to work on a few tourism projects. I will also be branching out to other Caribbean islands this year to create more authentic travel guides that are centered around the local experience. There is so much diversity from island to island, and I want to showcase the region as a place for all types of travelers from all walks of life. I also want to make it more accessible to millennials. Look out for a lot more Caribbean-based content as well as a few international adventures along the way!